The Phillies stayed in the thick of the Wild Card lead in late-September 2003 and longtime catcher Mike Lieberthal had a big role in that. In the game that put the Phillies up, Lieberthal hit two home runs and knocked in four runs, The Associated Press wrote. "Being in a pennant race and coming to the field everyday is kind of a rush," Lieberthal told The AP. By that point, Leiberthal had been coming to the field with the Phillies for nearly a decade. By the time he was done, Lieberthal had time in more than 1,200 major league games over 14 seasons. All but 38 of those games were with the Phillies. 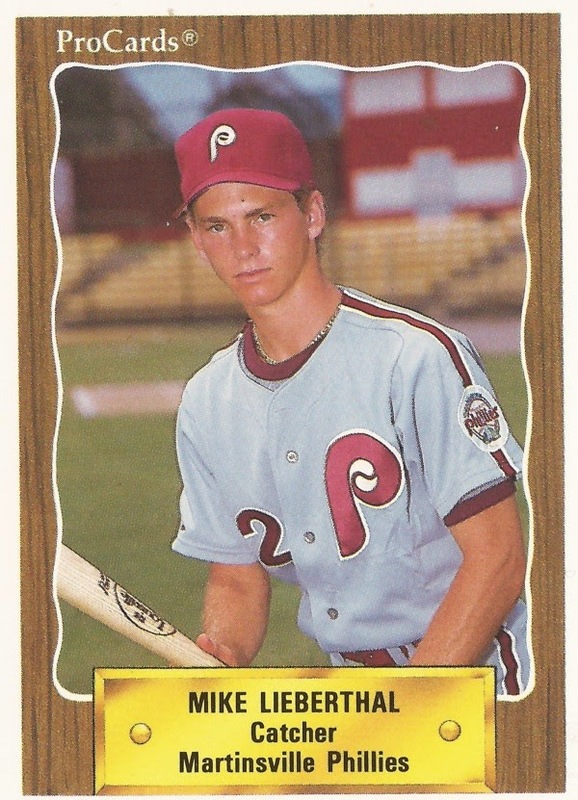 Lieberthal's career began in 1990, taken by the Phillies in the first round, third overall, out of West Lake High School in California. Lieberthal started at rookie Martinsville. He hit high-A Clearwater in 1991 and then AAA Scranton in 1992. He first made Philadelphia in 1994, getting into 24 games that year. He got into 16 games for the Phillies in 1995 and then 50 in 1996. His first extended time came in 1997, hitting .246 in 134 games. He had a career year in 1999, getting into 145 games and hitting .300. He had his first of two all-star appearances. He won a gold glove. He also hit 31 home runs. "When it comes to his whole game defensively, from catching balls, to shutting the running game down and calling a game, Mike is as good or better than anybody in the league," Vukovich told The Sun-Sentinel. "He's had a big impact on our pitching staff. And he's made a huge improvement on balls in the dirt. He's as good in the dirt as there is in the league." Lieberthal returned to the all-star game in 2000. Then he lost most of 2001 to a knee injury. He hit .313 in 2003, the year the Phillies made their run at the Wild Card. Leiberthal hit a milestone in 2005 - his 1,000th game caught for the Phillies. He continued with the Phillies through 2006. He then played one more season, 38 games with the Dodgers, ending his career. In 2012 he was inducted into the Phillies Wall of Fame. "He basically, start to finish, was a Phillie," former teammate Jimmy Rollins told MLB.com that August. "He was here through a lot of tough years in the late '90s. He made his mark. He was a good catcher, and he could also hit."